At 1611 hours, the Union Fire Company No. 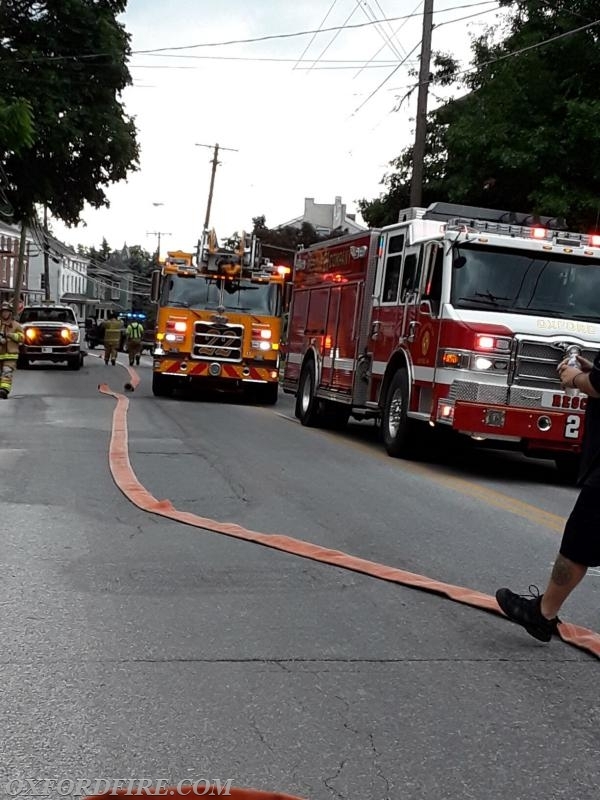 1 was alerted for a reported Appliance Fire in the 500 block of Market Street in the Borough of Oxford. 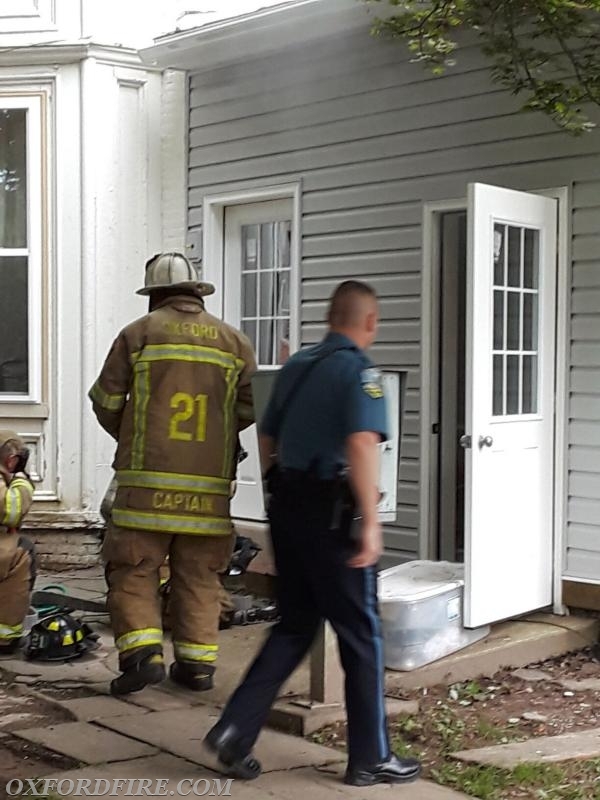 Numerous calls to 911 reported a clothes dryer on fire in the basement. Ambulance 21-2 arrived to find smoke showing from a three story multi-occupancy building and confirmed a working fire in the basement. 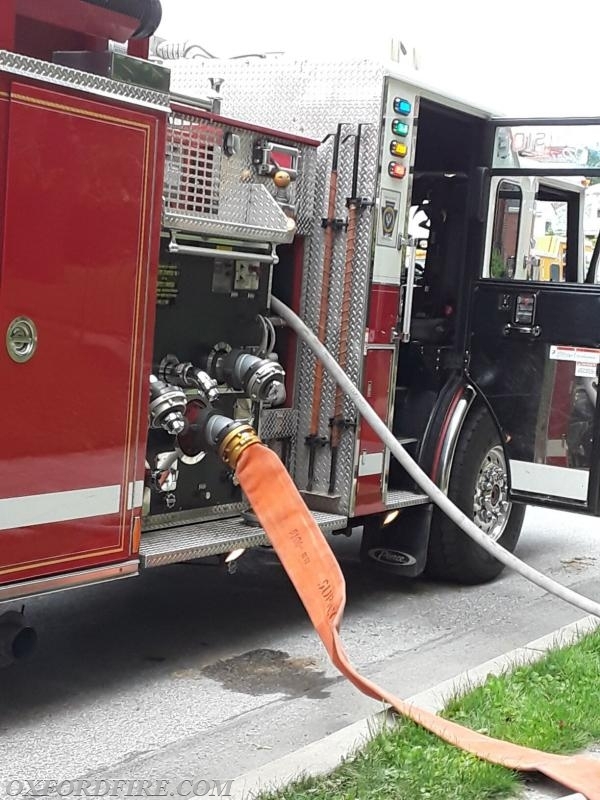 The Chester County Fireboard upgraded the Box to a working Apartment Building Fire. 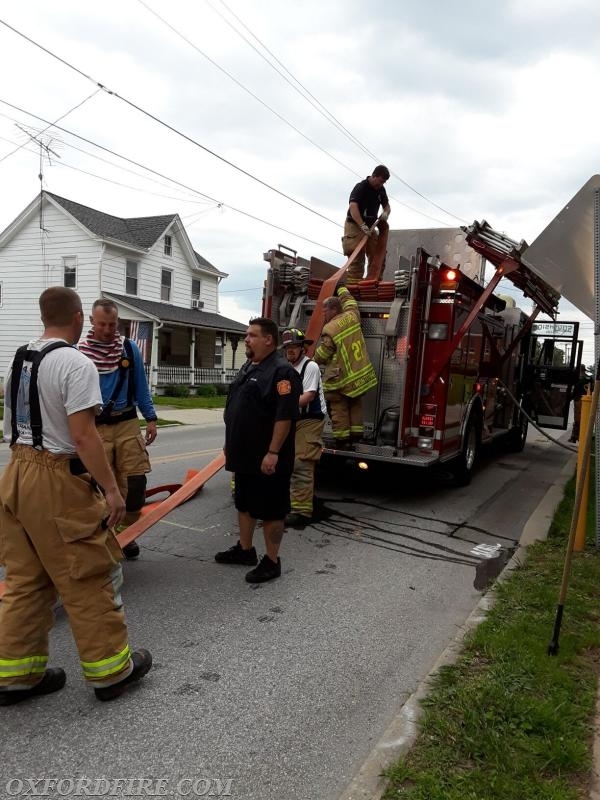 This added Rising Sun, MD (8) for an Engine and Truck, West Grove (22) for two Engines and Truck, Cochranville (27) and Quarryville (57) for the Rapid Intervention Teams, and Medic 94 (SCCEMS). The Oxford Borough Police Department confirmed that all of the occupants had been evacuated and were accounted for. Engine 21-2 (Capt. 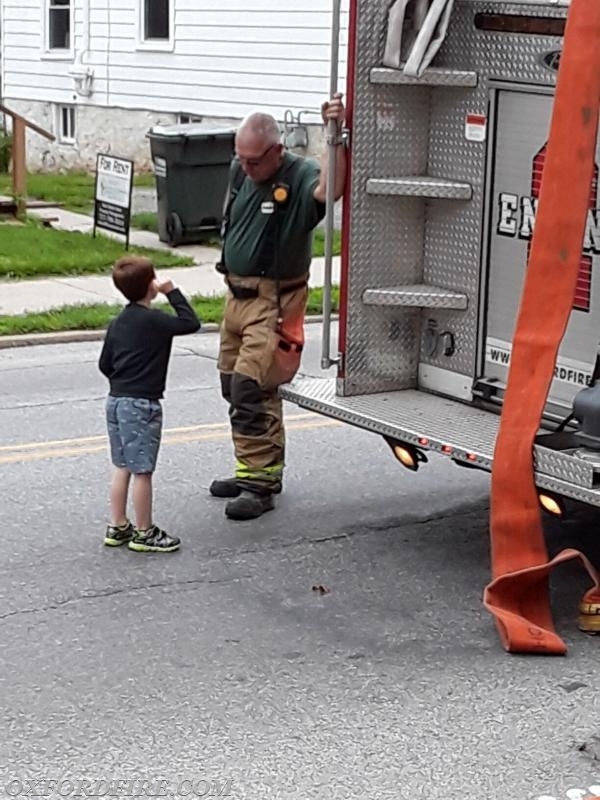 Greene) caught the hydrant at Market and South Fifth Streets and laid out 300' of 5" supply passed the fire building. Captain 21 established the "Market Street Command". 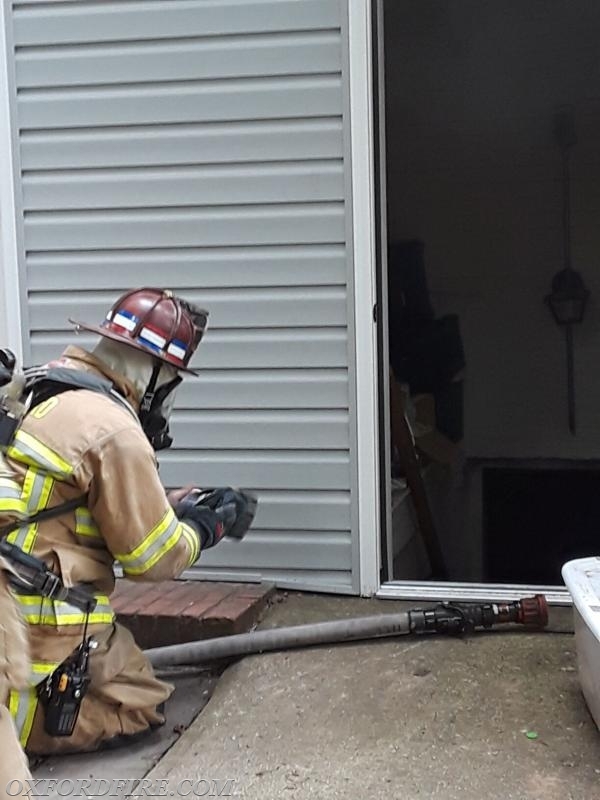 The crew stretched one 1.75" hand line to the "B" side basement door and made entry. They were met with thick smoke conditions and high heat. 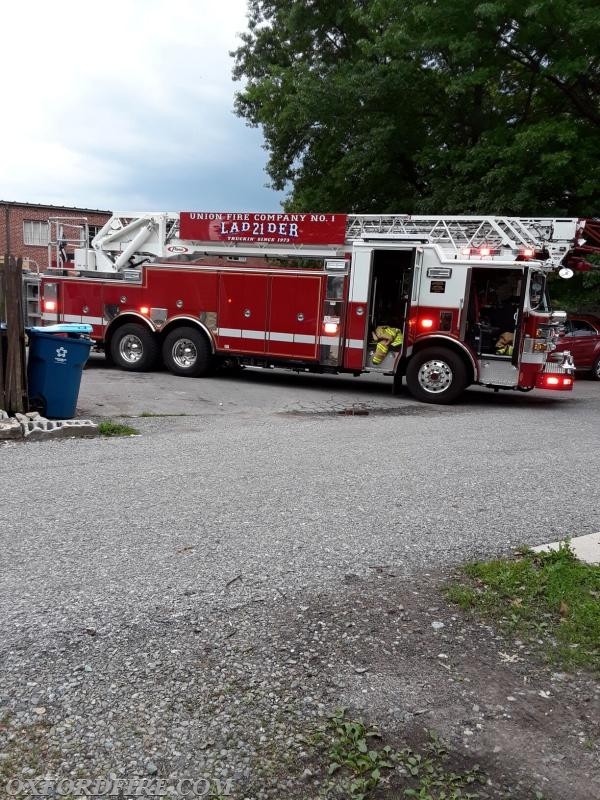 Ladder 21 (FF Gray) took the rear of the building and set up. 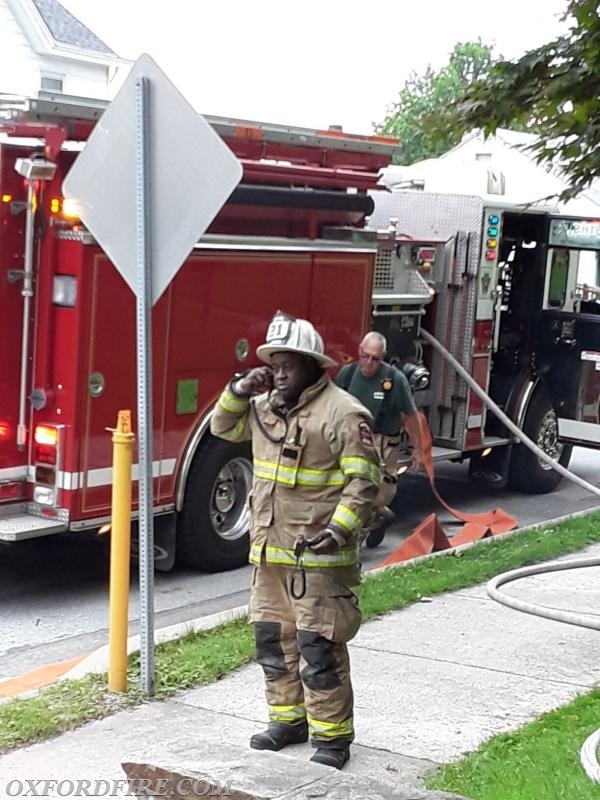 Additional arriving units staged on Market Street and sent their crews into the scene to assist with Primary and Secondary searches of the entire building, ventilation, and overhaul. The fire was quickly knocked down and Command scaled the response back to the Oxford units and an Engine and Truck from West Grove. Engine 22-1 and Truck 8 re-directed into Station 21 to cover the area for the duration of the incident. The final units were clear of the scene at 1710 hours. Engine 21-2 catching the plug at 5th and Market.